If you love a desert sunset, old western movies and guacamole, you may be a lover of Southwestern design. Southwestern style is warm, rugged and earthy in tone yet has dramatic pops of turquoise, terracotta, salmon and yellow accents of color. Interior furnishings and architecture in Southwest design is chunky, solid and more unrefined than not. The mixing and matching of much heavier wood pieces, along with metal, such as iron and tin give a more balanced look to these rustic rooms. Organic shapes to walls made of stucco is another sign of this old western design. In most Southwestern design, you see a primitive American Indian influence in pottery, tapestries and throw blankets. Large wooden logs used for ceiling beams or mantels give a primal feel, yet elaborate patterns and motifs displayed on rugs, sofas and draperies bring in the softness to interiors. In the American Southwest you will see plenty of stucco and adobe used on the outer walls. Spanish colonial and Mission Revival styles has influenced most Southwestern architecture. These homes dwell as chameleons by blending into the scenery and never taking away from the view. Because of its desert like atmosphere, this style home uses stone work, plaster, and other stout vegetation for its curve appeal. Native American motifs and exterior decoration is also a huge part in architecture. Southwest accent pieces have more influence on texture. For example, pillows are made to be noticed with the use of leather, suede and wool fabrications, rather than just cotton and polyester. Accessories and fixtures are often made from wagon wheels, deer antlers or other reclaimed pieces which are reinvented and recycled into something new. If you are an avid DIYer, this style is easy to get creative with. Southwest outdoor design usually incorporates the same design elements indoors. You’ll find there is a flow to both spaces in way of color and texture of Southwest design. There is much harmony and conformity. Outdoor furniture such as teak and wrought iron go well with the elements. Soft goods such as outdoor custom cushions and pillows will bring comfort and relaxation. This look is enhanced even more by adding terracotta or bright colored planters filled with native cacti and hardy succulents to give some green coloring throughout the space. 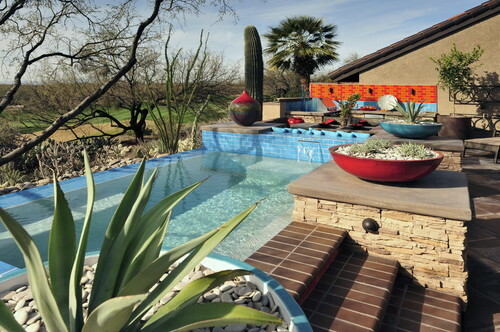 Pools are wonderful ways to enjoy the summer heat of a dryer climate such as New Mexico and Arizona, however, you can transform pots into water features which will create a soothing trickling water sound throughout your outdoor paradise and set the ambiance. 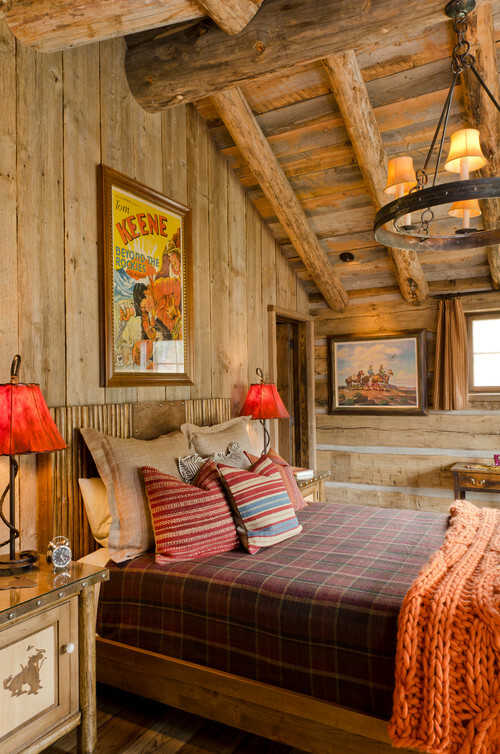 Southwestern style is really a unique design that have many devoted fans embracing all that it entails. Get Coastal Styling Now! Get Cottage Styling Now!